Every pop star has that one break out moment, that one defining stellar point in their career, that people remember them for the most. For Aurora Asknes, that moment was her subtle, earthy and vocally spectacular performance at the 2015 Nobel Peace Prize Concert. In a show that honored the winners and dedicated to showcasing the best of European music, Kygo, MØ, and Aurora Asknes held their own. Aurora performed hits that she had crafted from earlier EPs and included a special performance of Oasis’ ‘Half The World Away’. What stole the show though, were her singular sharp vocals that tore through the silence in the auditorium at the concert. That, fine people, is Norwegian finesse for you. Hailing from Norway, the teenager’s debut All My Demons Greeting Me As A Friend, is an interesting concept. Inspired by the likes of Bob Dylan and Leonard Cohen, Aurora’s songwriting displays a depth and wisdom far beyond her age. Just like Lorde, Asknes’ Norwegian upbringing is obvious on the album with themes of escapism, lost love, hope and an introspection in the darkness surrounding us. Take the first track, ‘Runaway’. The rhythms and lyrics remind you of fellow artists Bjork or Lykke Li, with their other worldly and unique approach to music. If ‘Runaway’ draws you in with its rather alien lyrics and rendition, ‘Conqueror’ transports you to a world of loss and redemption. With its rather formulaic pop approach it is the only pop song on a rather indie themed album but, good nonetheless. ‘Running With The Wolves’, ‘Lucky’ and ‘Winter Bird’ are an interesting trilogy. 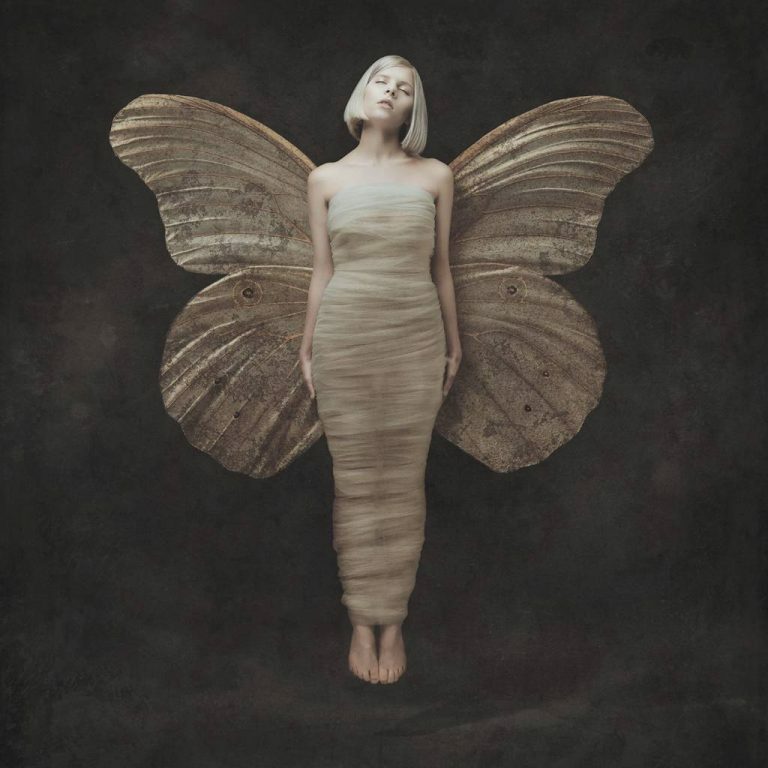 On ‘Running’, Aurora’s vocals are fierce as they can get, coupled with faux howls and harmonies that have a very jungle themed feel to it but, on Lucky, it turn sombre and turns into this weird dirge, where although it is uplifting, it feels sad and something you’d hear at a requiem mass. Then there’s ‘Winter Bird’, and you can’t shake the feeling that you are hearing a younger Bjork sing about the greenlands in Iceland and her bond with Icelandic greenery. Aurora’s Norway is not less beautiful, it is just beautiful in a sad way. If Lana Del Rey, popularised the sad is the new happy trend, Aurora with this album, is perpetuating that trend elegantly. Sadness, lost love and hope reappear in different avatars all over the album, popping up in tracks like ‘I Went Too Far’, and the oddly South Asian themed ‘Through The Eyes Of A Child’. Anyone familiar with the ragas of Carnatic music will recognise the similarity in the instrumentation and vocal delivery of a lullaby for adults. On ‘Warrior’, the namesake track lined up to acknowledge her fans, who she lovingly calls warriors, Aurora pens an anthem that is fitting. Almost too quickly, Aurora switches her themes from victory to loss with Murder Song (5, 4, 3, 2,1). The song is frenetic, bass heavy, has the usual oohs and aaahs, but don’t let that fool you. A song of passionate love gone violent, Aurora’s skill in vocal theatrics is worth envying, On ‘Home’, there’s soul but, the South Asian influence is back on ‘Under The Water’. ‘Black Water Lilies’ with its simple lyrics, employ metaphors and digital distortion to evoke a sense of alienation when compared to the rest of the album we’ve heard so far. A stripped down acoustic version of Oasis hit, ‘Half The World Away’, makes it on the tracklist. A set of acoustic covers follow and then a very Bjork inspired ‘Wisdom Cries’ debuts with layered vocals weaved in with experimental EDM. ‘Running With The Wolves’ receives a remix treatment that doesn’t necessarily fit with the theme of the album, but if you’re into indie synthpop then this could be your jam. There’s a lot to love about AMGGMAAF. An unmatched aesthetic and a matured approach to music puts Aurora on the list of musicians who are out to make a killing purely based on their talent. If you opine that music pop stars put out this days is garbage then fear not. Artists like Aurora, dare to take the steps necessary to reverse that opinion and if anything deserve all the support and appreciation they are owed for it. Pick it up if you wants to know what the mind of a 19 year old from the hinterlands of Bergen, Norway, pick this album up. It doesn’t disappoint and is just a taste of what Aurora has in store for you. Indian dude in Aotearoa, passionate foodie, music lover, tech freak, Android and Tumblr addict. I write for various publications internationally, but talk Bjork booming over some piping hot pie (provided that music is playing on some Android phone) and I promise you we'd be having conversations worth writing about.